Lambda offers the determination of precise lattice parameters for cubic, hexagonal, and tetragonal phases using either powdered or solid samples. Diffraction data files are reduced using Cohen’s Error Function technique, where the unit cell dimension is extrapolated against the Nelson Riley Error Function. 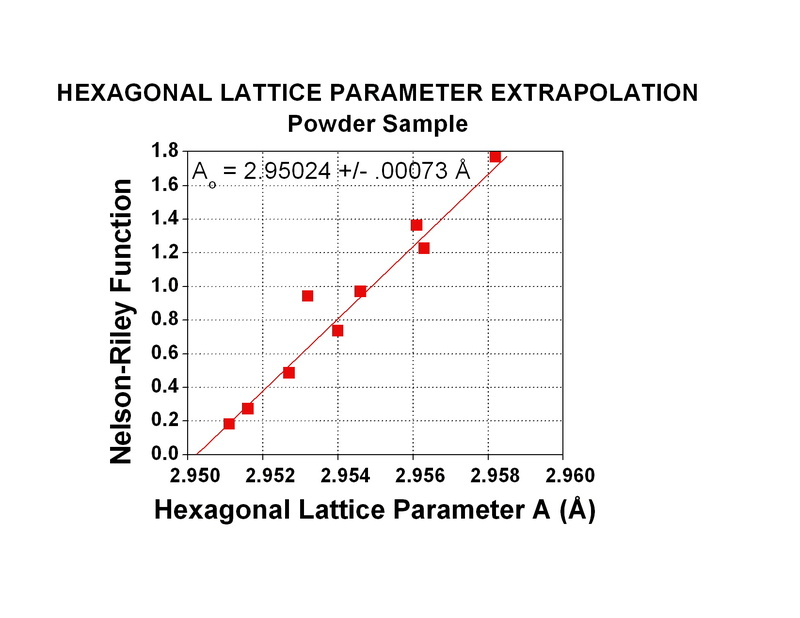 Using this technique Lambda provides the most accurate measure of the lattice parameter on your samples.